Oh man, it is Monday again…. they sneak up on me! How was everyone’s weekend? I got a bunch of family time in, and we had some fun with our kids. Not a lot was ticked off of our to-do list, but sometimes we need to ignore those and enjoy the weekend. That being said, it is Monday and I am excited to share this DIY natural wood shelf with you all! This is also part of a fun decorating challenge I am a part of, the Create with me DIY challenge. The fellow bloggers and I created something with the theme “natural wood” for this month. I created this oh-so-cute wooden shelf for my kids bathroom. I have to keep things pretty clutter free in there, since my kids like to keep it very messy. A little pretty thrown in with hulk toothbrushes, so many hair clips, toothpaste everywhere and… well… it is a bathroom… with kids using it, it gets messy. The biggest part of this project is the supplies needed to make it. 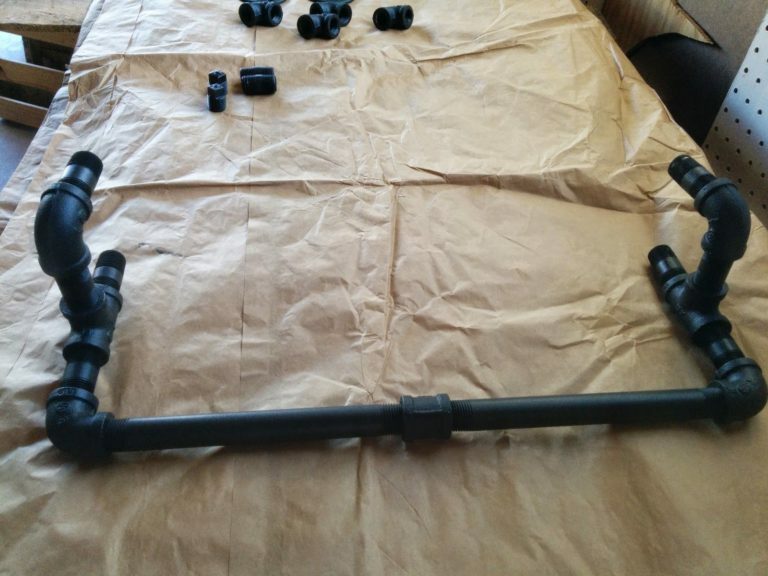 I purchased 8 corner galvanized pipes, 8 two inch pipes, 2 circular plates, 2 T shaped pipes, two 1.5 inch pipes, 2 pipe plugs, 2 eight inch pipes, and one coupling to join the two long pipes together. They were all 1/2 inch diameter wide, one string of wire and a partridge in a pear tree. Kidding! They do not sell those in home improvement stores. 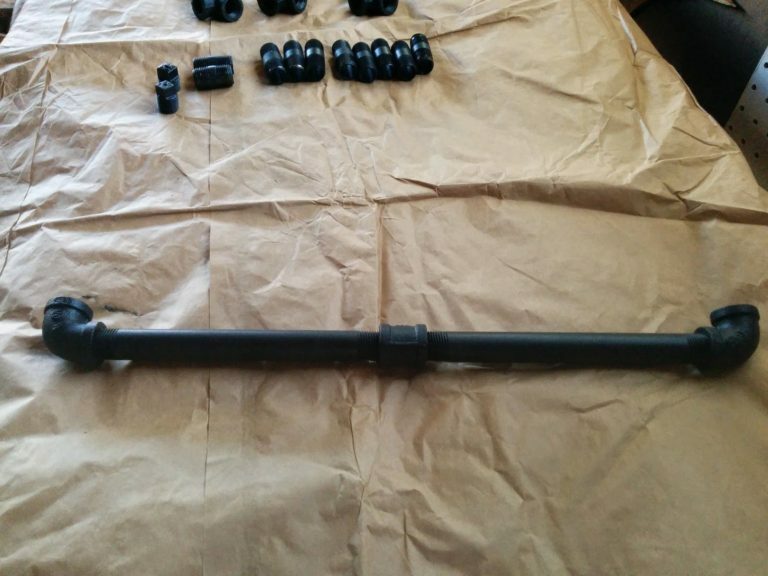 The size of the pipes are really up to your preference, the larger diameter the bulkier it will look. To begin take your board, in my case I chose a pretty oak board and decide the size you want it to be. For my project I made this board be 23 inches, just under two feet. 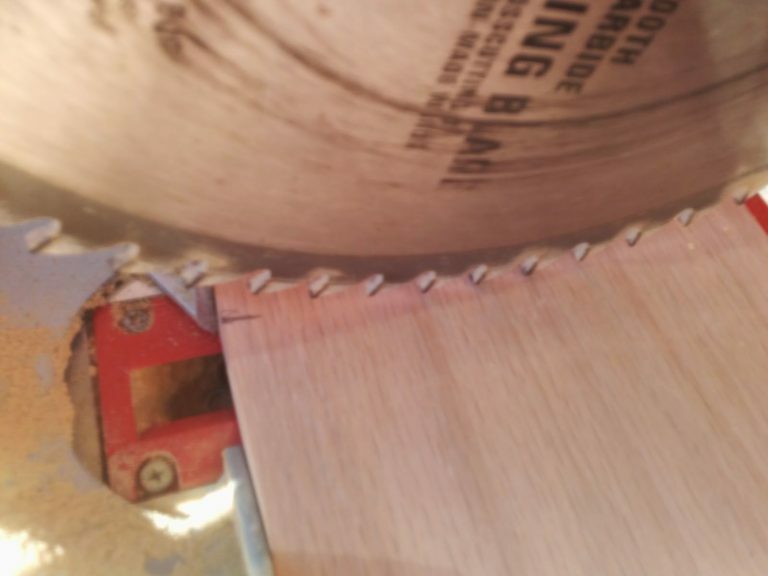 Once it was cut down to size giving the board a good sanding is needed. 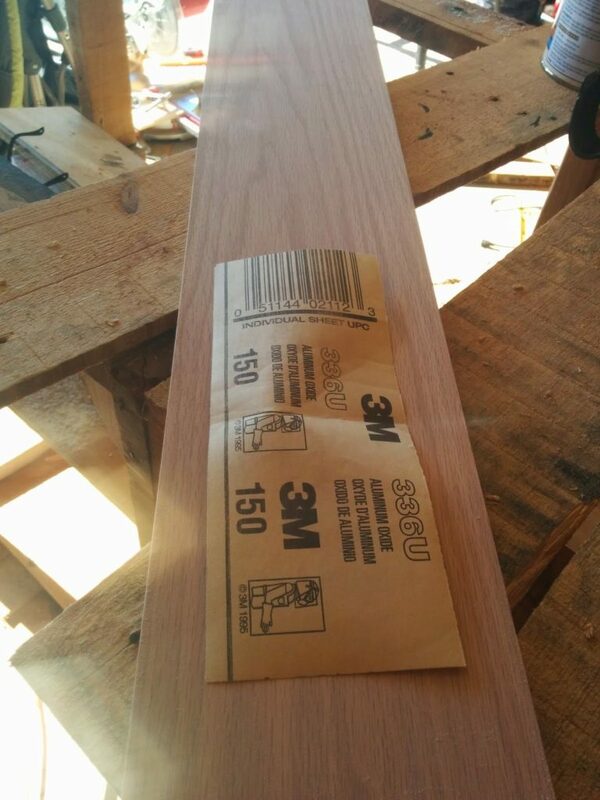 This will help the board be smooth and also the wood stain to adhere nicely to the wood itself. 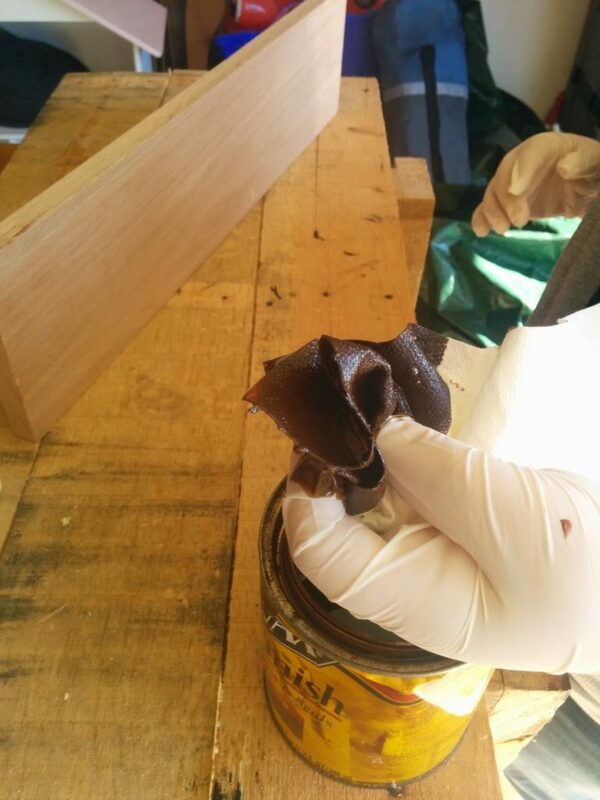 Be sure to protect your hands and get to wiping or painting on the wood stain. I am using a rich wood stain called English chestnut. It is so pretty and has just the warmth I want for this shelf! 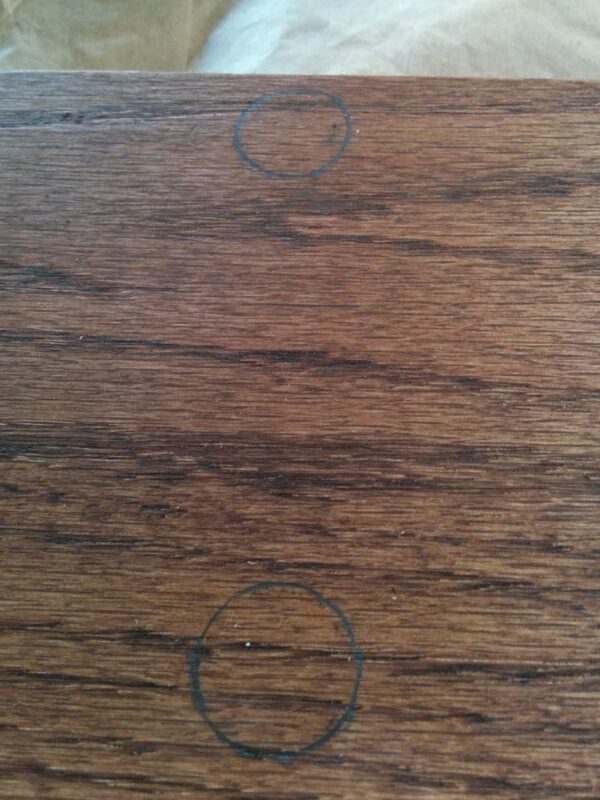 Wipe the wood stain on with even strokes, if you see any streaks or spots with more stain just continue wiping it away. Eventually you will end up with an even look. 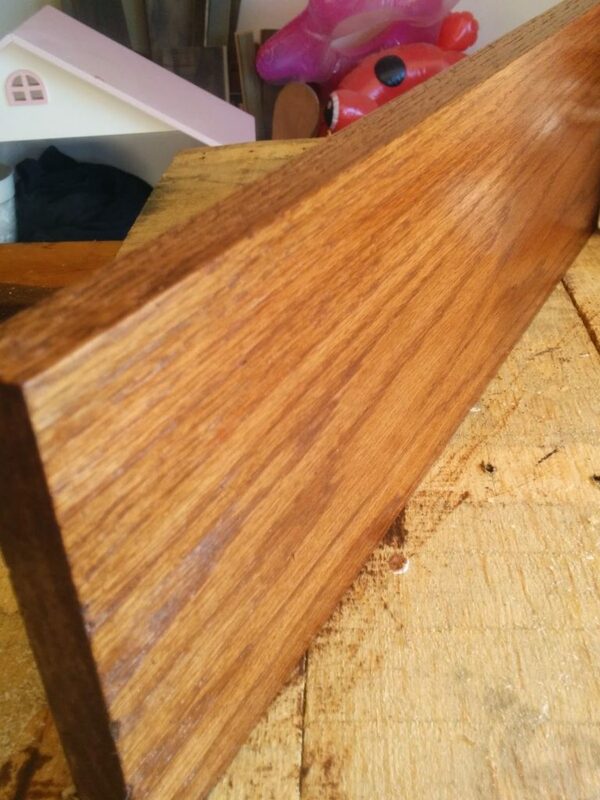 Toward the end do longer strokes to have the natural wood grain show through. 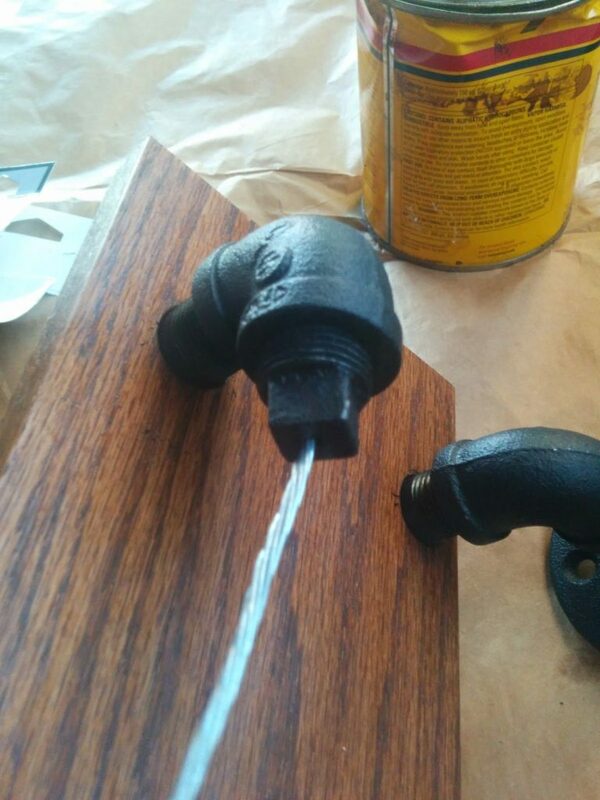 Yes, this wood stain has been used and abused. It is so dreamy! 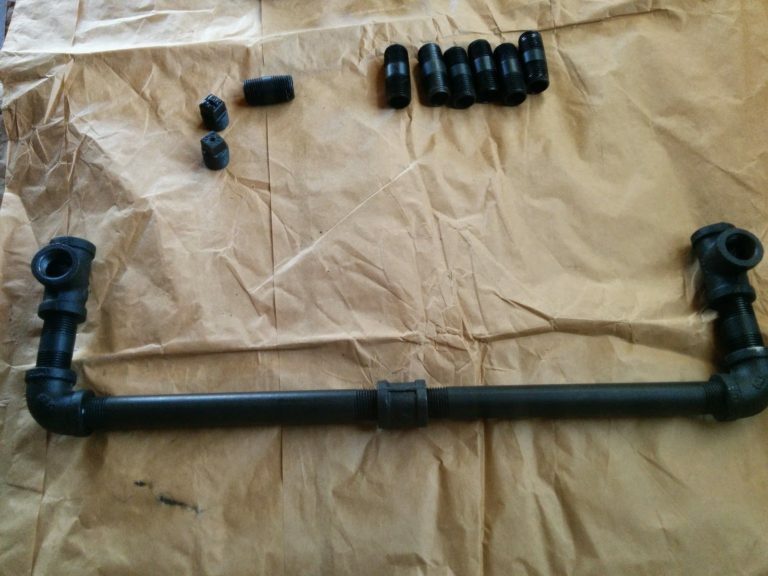 For the next part I am taking all of the galvanized pipes and spray painting them black. Sometimes you need to sand off any tags from the store. It depends on which store and which brand you get on if this is necessary. I always get weird looks when I am in the home improvement store and picking out pipes like this. This is typically serious home improvement stuff, I am hanging out with “real men” the kind that drink beer, crush the can on their forehead, and belch while walking through the store. Buying manly things like pipes or power tools. This is not a place for a lady…. I can hang with them. “Excuse me sir, I need this galvanized pipe. I am making a towel rack.” Yep, just like those manly men 🙂 . 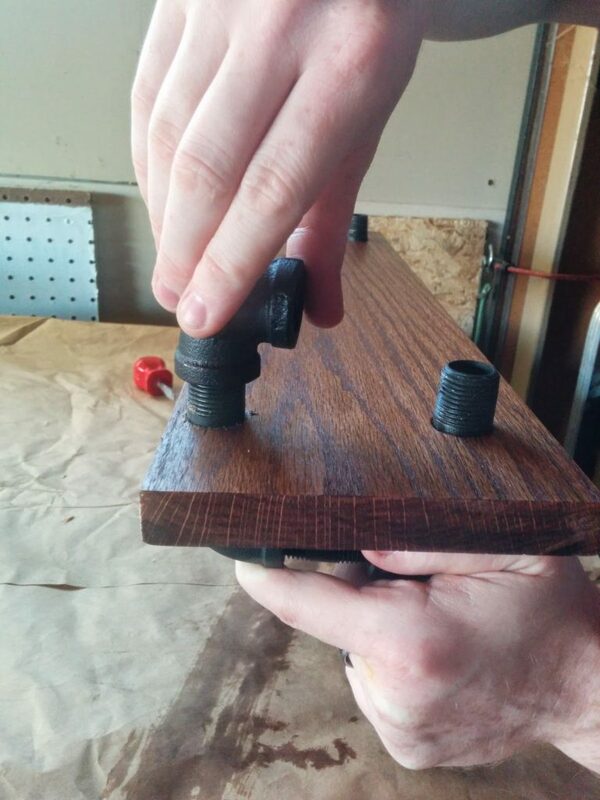 While I was waiting for the pipes to dry I went to work making the holes needed for the shelf. 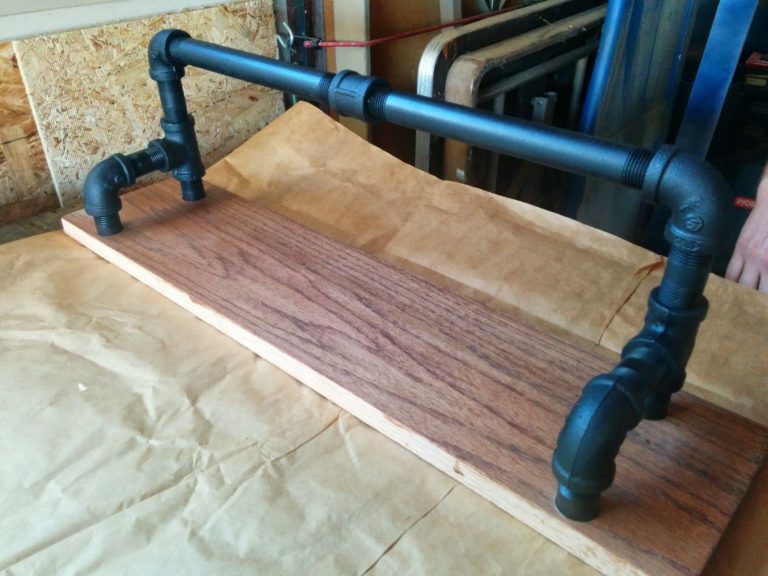 I am stepping this shelf up a notch and creating the pipes to go through the wood. Oh and ahh with me, this is exciting stuff! I marked where the pipes would enter. 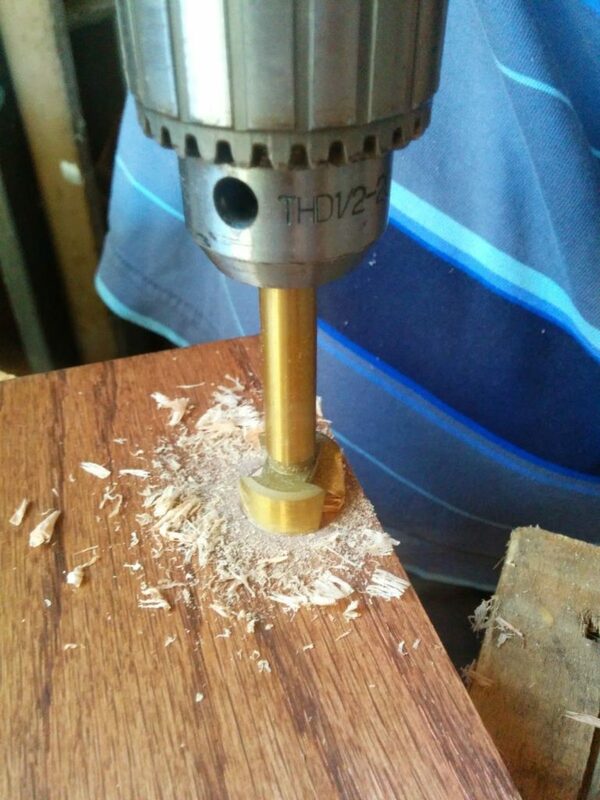 Then using a drill with a hole drill bit. Using the one that is 1/2 inch in diameter to match the pipes. Secure the board and push the drill down in, slowly but surely it will get done. 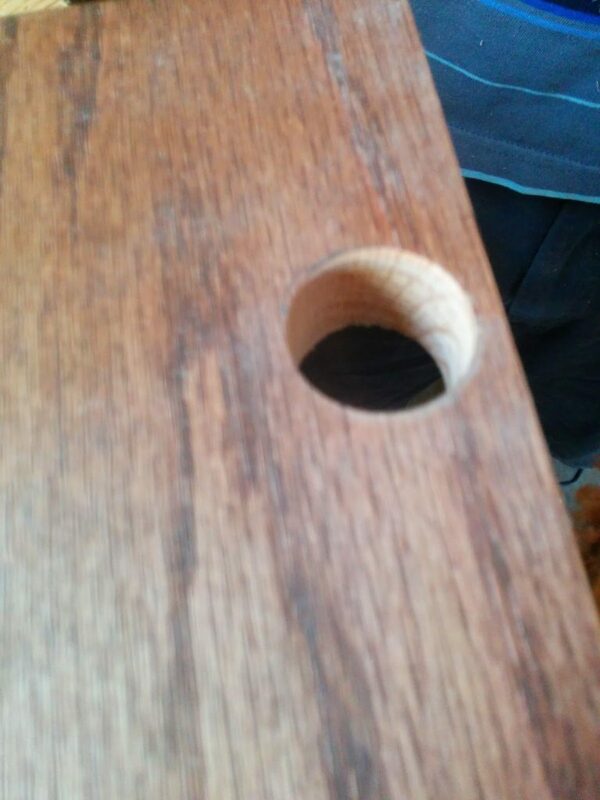 A perfect hole is created in the wood. Sand off any rough edge that may have come up with the drilling. 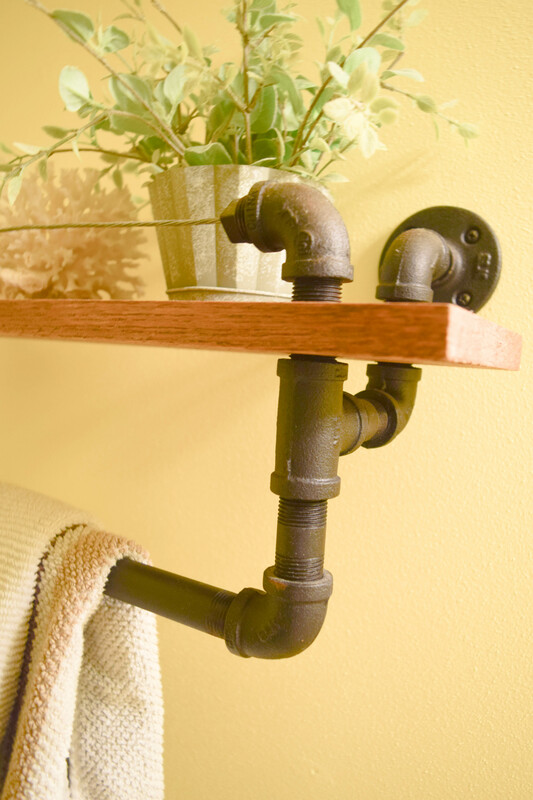 The additions allow the towel rack to be more removed from the shelf. Giving it a fun look to it. 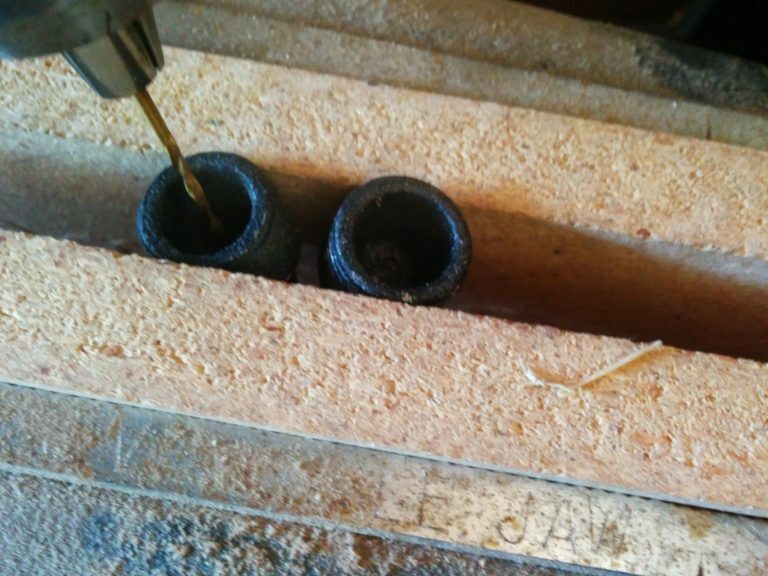 The addition of the two other pipes will be used to insert into the hole of the wood. With the holes done, it is time to screw it all in, making sure it is all tight. To make the shelf as functional and safe as possible. This is the home stretch now. This last portion is a little extra, not something that is needed to make the shelf function. I am simply adding it as a little visual, to bring in more of that fun industrial fill that these galvanized pipes are great for. 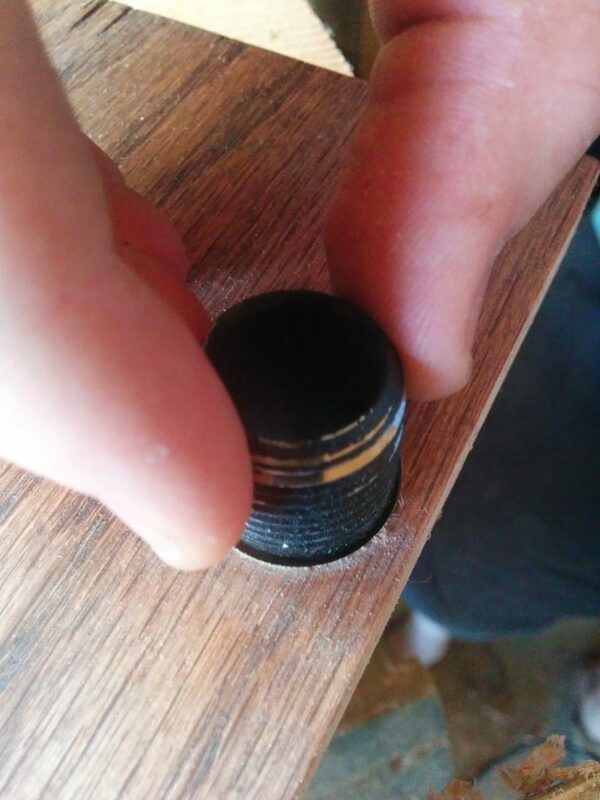 Taking these two pipe plugs and drilling a hole into the bottom of them. 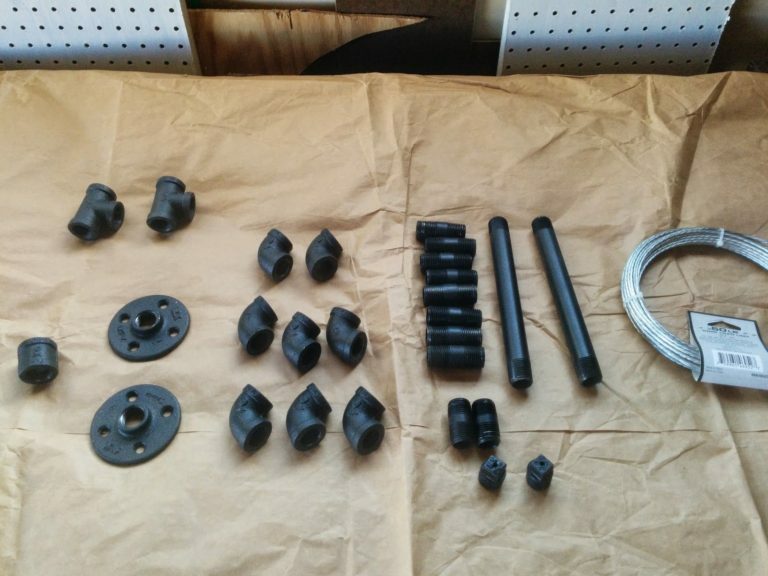 These will be screwed into the top front pipes, and then a cable will run through them. 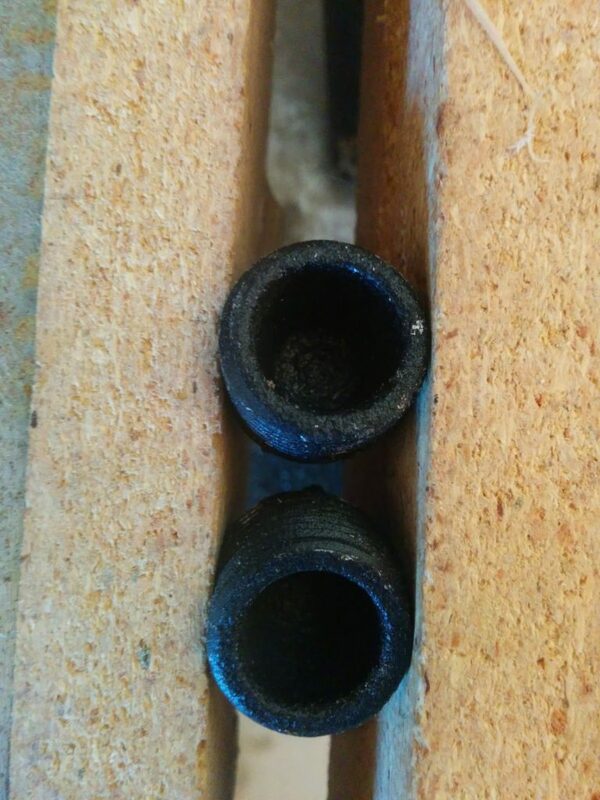 Secure the pipe plugs and slowly drilling a hole into each center. Using pliers bend the wire into knots on the inside. 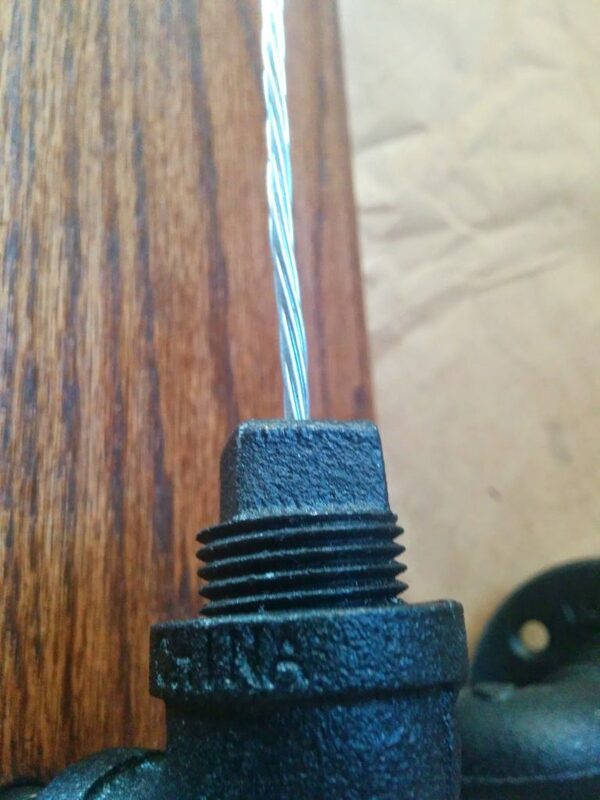 To insure the plug or the wire will not move or come loose. 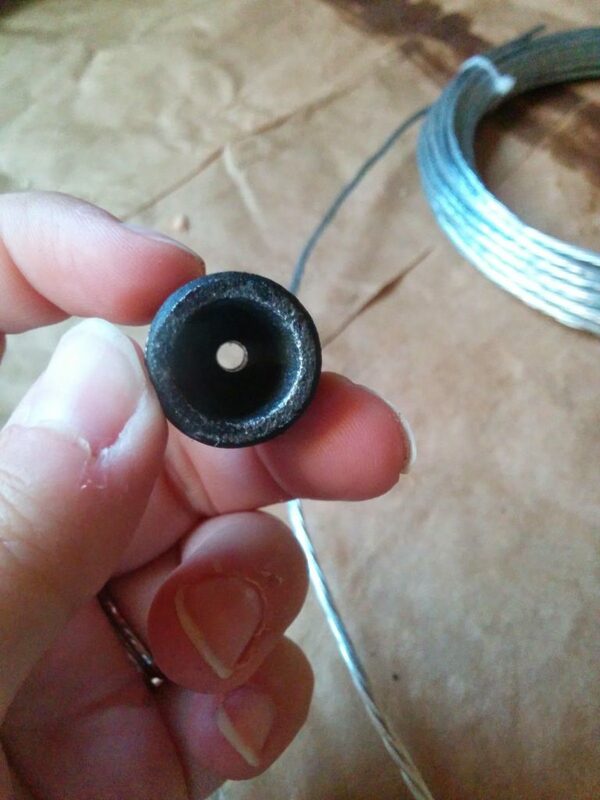 Then screw in the plug into the corner pipe, measure the wire and cut it. Giving enough slack to tie up the other end. 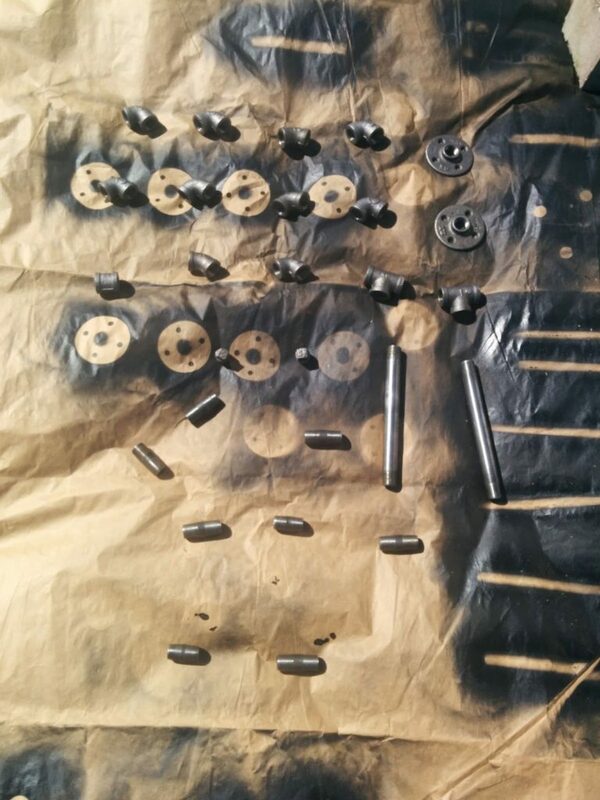 Once it is all built I screwed on the end pieces, then used standard screws and put them into the wall. 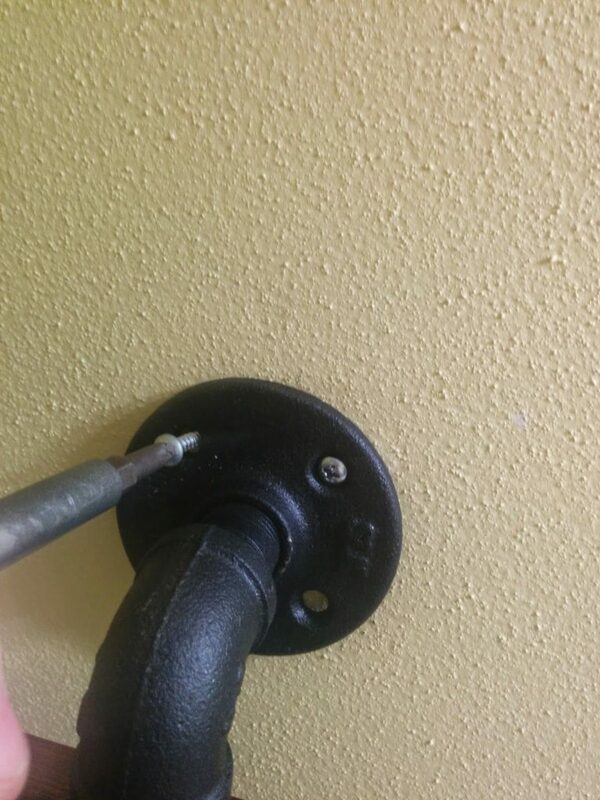 I painted the screws black so that they did not stand out against the black pipes. I will warn you that the yellow color of my kids bathroom walls does not look sooooo yellow in person. For some reason when I photographed it the yellow really came out. Just a warning. I adore how this little shelf turned out! 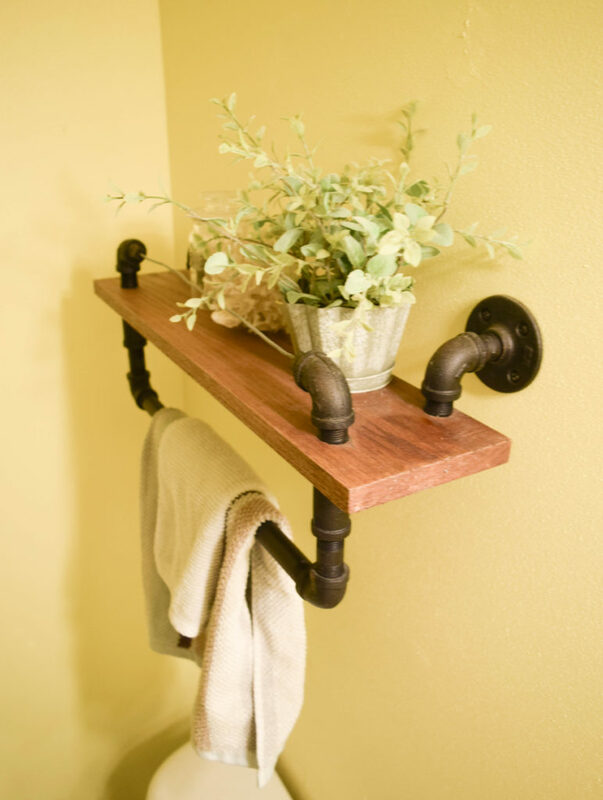 I added a hand towel to this since it is close to the sink and the DIY natural wood shelf becomes a cute little towel rack too! Adding a few smaller decorating objects to this makes it feel decorative instead of functional. But if you have a smaller bathroom that is lacking in storage, adding some baskets to this and putting items inside is a really easy thing to do. This shelf can be built to size and use. Don’t you love DIY?!!! This is not my first time using galvanized pipes. I created a great console table as well as a lap top tray with pipes. They are such a creative and low cost way to decorate your home. They are also really simple to use. It does take some planning in the store on exactly what you need, no winging this one. This means if you have to laying out the pipes on the aisle floor and waving at those manly men while you plan your shelf or console table. Own your DIY decorating habits. And get a latte on your way home, you deserve it you DIY warrior you! These pictures really make me feel like the yellow is a little too pee themed, anyone else think that? I am thinking I need to repaint their bathroom. Also, their bathroom is a literal cave, so the lighting is a little off for the pictures. Their bathroom is on my long to-do list, which I actually plan on sharing with you all later this week. My home project to-do list, not their bathroom. As of now it is not something to inspire. 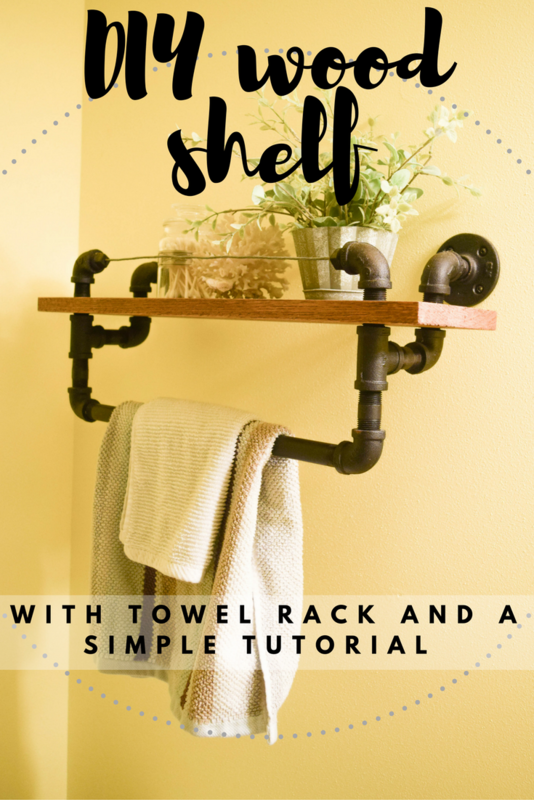 Except this DIY natural wood shelf for the cute shelf and towel rack being the results, the steps are surprisingly simple. A few holes to make and a lot of screwing of pipes into place. Easy stuff. The most difficult part is hanging out at the home improvement store and ignoring the mean glares while you lay out your projects and pipes in the aisle. Just let your kids cause a big mess or annoying noise while you do that. I guarantee no one will be paying attention to you. Kids are great for doing that. Now, be sure to check out all of the other talented ladies and their natural wood projects for the Create with me DIY challenge. So much inspiration for this Monday! Next months challenge we will be creating something that is Valentines day themed! Tell us what we should use in our project! CLICK HERE if you cannot see the survey! That came out awesome and it’s much easier to make than I would have thought. I love it. 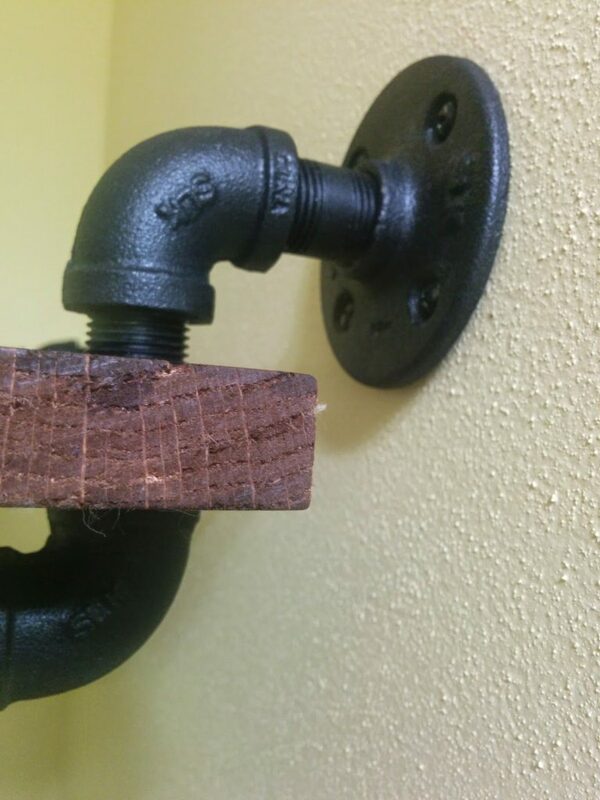 I like how you combined the wood and the pipe design. It looks so cool and it has an earthly feel. Oh man do I ever wish I had the tools needed to make this. I need to find a friend with a workshop, because this is seriously cool! I love all the visible fixtures! So cute, Emily! Perfect for your kids bathroom. Absolutely LOVE the shelf! The addition of the wire strung between the pipes is so perfect and makes it even more industrial. This is different and eye catching. Something to show my husband he is the handy woodworker around our home. Perfect for the bathroom. Such a cool shelf! Great job! Wow you are so talented. I love your work and the outcome of all your decor. 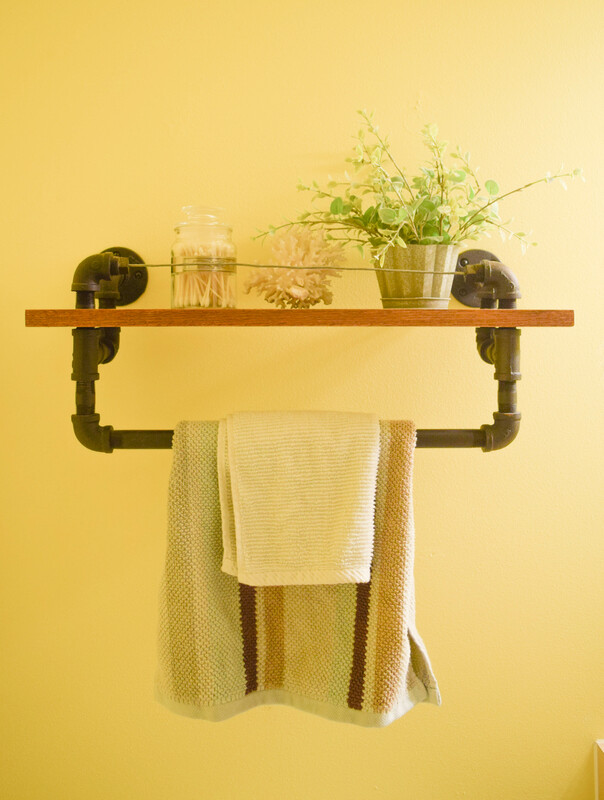 I love the charm from the pipes on the shelf!! 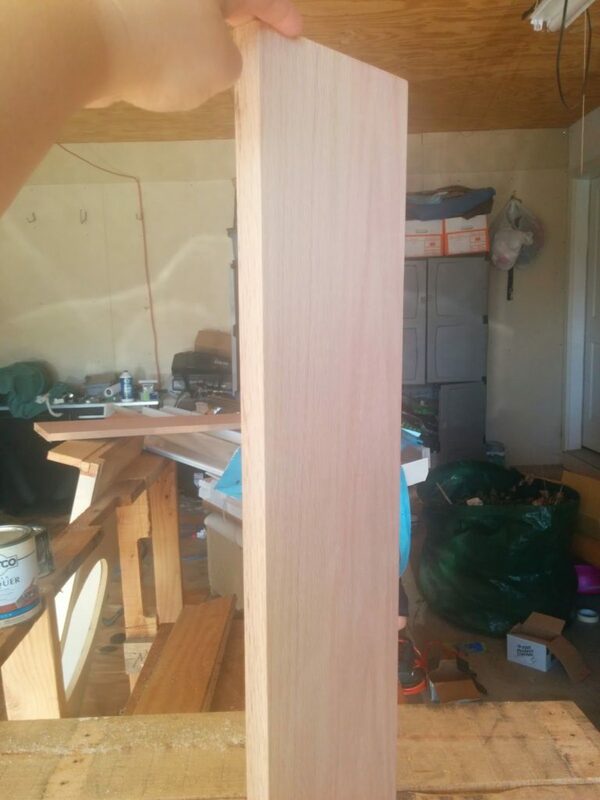 This project turned out great, this would go great in my house for storage. I love the way this shelf came out. 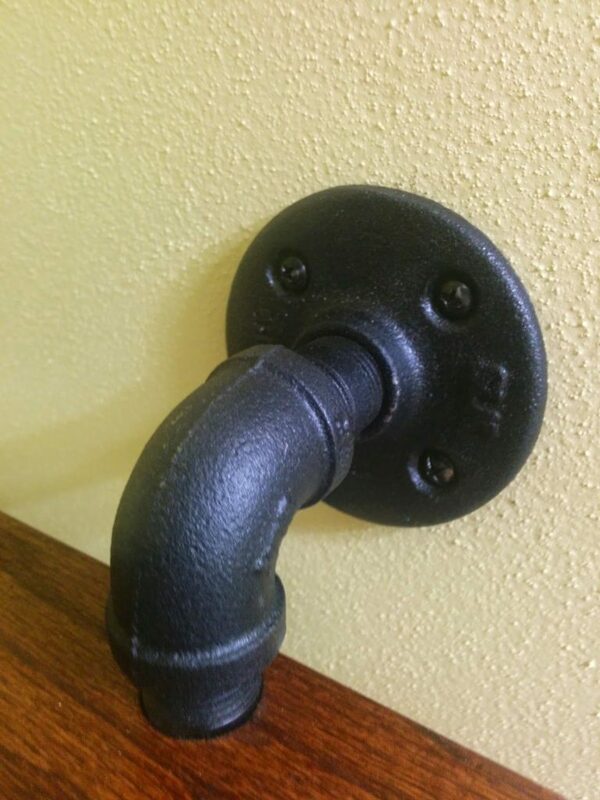 I love working with pipes in my home decor. I did a lot of projects with copper pipe last year. Emily, this shelf is so cool! 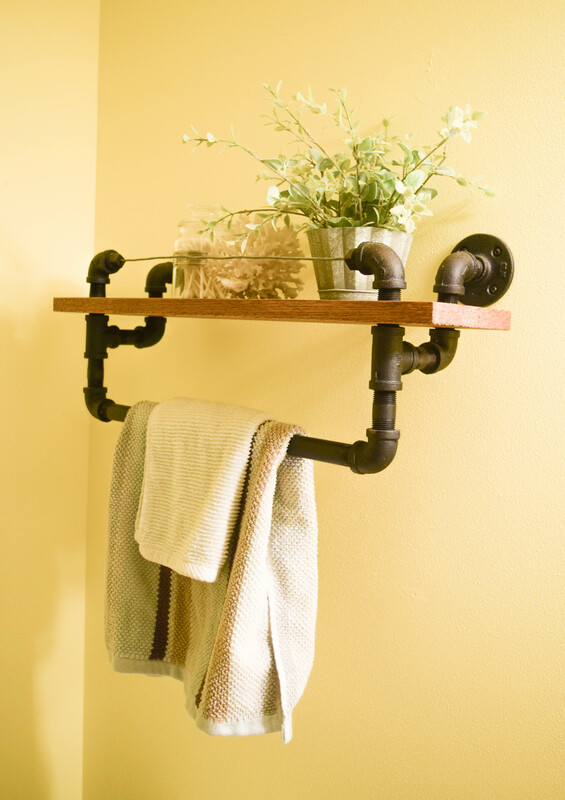 I love the galvanized pipes! Such a great industrial look! Oh wow that really catches the eye! This would work really well in the “Man cave”. Looks great! I love the rustic look! This would be perfect in my bathroom :). I think I found a job for my brother in law to do since I don’t have these tools! LOL. Thanks for sharing! Oh I love the look of this! I could see several in our laundry room. I just wished we had the tools to build it. Very beautiful! It reminds me of the pot rack that my husband made for me for the kitchen. Isn’t it fun to have something so cool and useful that you made yourself! This is way too cute, I love how it turned out. I need another shelf in my bathroom but just don’t know what would look best. I am in so much LOVE with this shelf!!! I have 2 bathrooms that would benefit greatly. Gonna have to try it! thank you!!! This is amazing!! I have been really into the rustic/industrial look lately and I could totally make something like this work in our home! Great job! I wish I had your patience to tinker around and do stuff at home. This is really nice and I like how you made it easy-to-do. 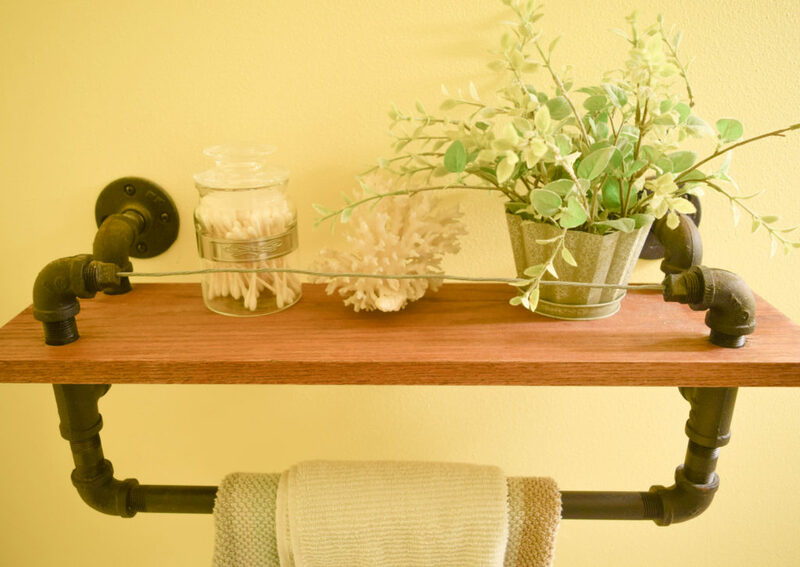 Wooden shelves are pretty & they’re also versatile. That is so clever and looks so expensive. I admire that you learned how to do this. 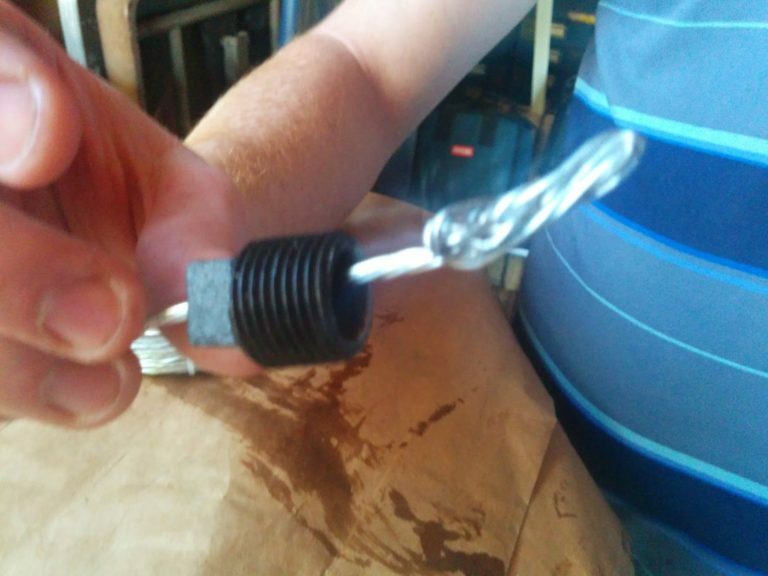 I am pretty DIY inept but I love looking and learning. You did a fab job! Super cool! You did a great job and now I have manly tool envy. I also just stained and put up two shelves in my home office (with help!). Shelves are great for small spaces. What do your kids think of their new shelf? I love everything about this DIY. I love that you own being in the hardware store with the men. 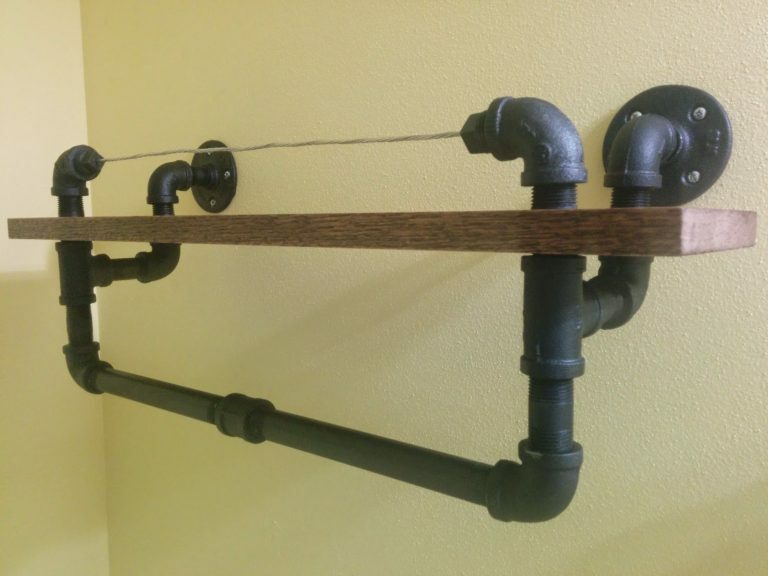 Using galvanized pipes was a dope idea. Holy smokes mama that’s beautiful! And so creative! Wow. I’m not sure I woulda ever come up with that idea but you pulled it off beautifully and make it look very doable! Thanks for the detailed tutorial! This is a great idea and creative. Wow, you are very handy. Beautifully made. Wow, this shelf turned out so neat and creative! I love the pipes! This is great!! We actually moved into a very small apartment so we’re having to build storage spaces and be creative with the way we keep things. Shelves have been our lifesaver! I love the industrial feel! I buy metal pipes and that sort of thing at the hardware store all the time, and I always get the craziest looks, haha. People definitely don’t understand! 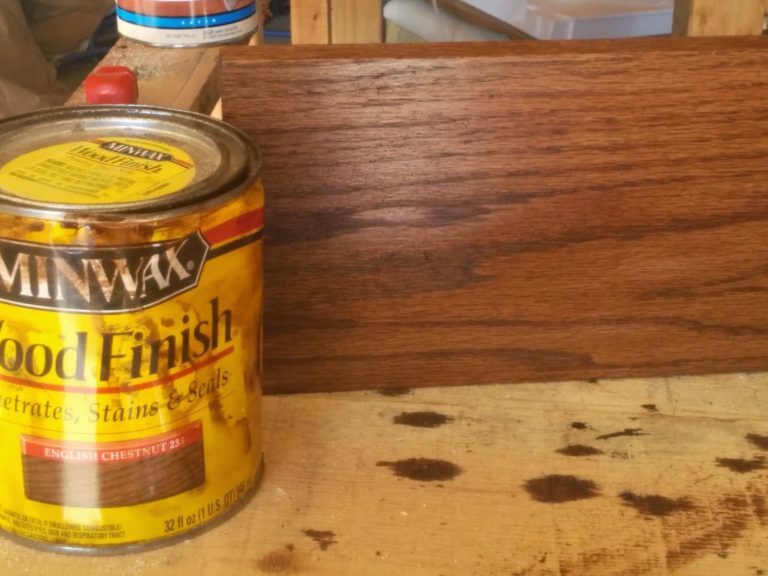 The staining method you used is my favorite way to stain things. So easy! This came out beautiful! I love it! Great finished product! I love all the photos that show all the fine details on this DIY. What a beautiful job you did. It came it so nice. I n eed to get on point. I want to be able to do projects like this! This wood shelf looks gorgeous, very high-end! I can’t wait until we have our own place to do these kinds of projects to! This is so awesome! I love the town rack and shelf combo. This is such a cute DIY! I love how it turned out. Thanks for sharing! This is such a cool DIY shelf!! I love it and you make it look so easy to make!